NEW YORK (WABC) -- New York City is not only home to more than 8 million people, but also to 600 species of wild animals. With that in mind, the city is launching WildlifeNYC, a new awareness campaign to teach New Yorkers how to live safely with those wild animals, including deer, raccoons and coyotes. Posters, street signs and billboards will be going up to help residents to better understand their fellow New Yorkers. Officials are taking a particular focus on active wildlife areas, including Staten Island and the Bronx. "Recent sightings of deer, coyotes and other unexpected animals make it clear that New York City can be a wild place. WildlifeNYC's emphasis on education, outreach, and humane population control will help all New Yorkers care for our urban environment - and the animals who share it with us," said Mayor Bill de Blasio. The city has launched a new website where users can report a wildlife sighting, learn about the wild species, and get up-to-date information about the City's latest wildlife initiatives. 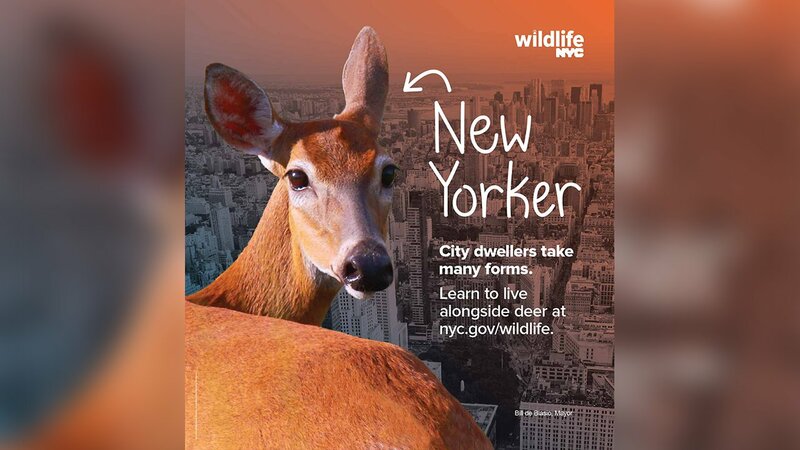 To learn more about WildlifeNYC, visit nyc.gov/wildlife. New Yorkers can also call 311 if they are concerned about animals in their neighborhood.